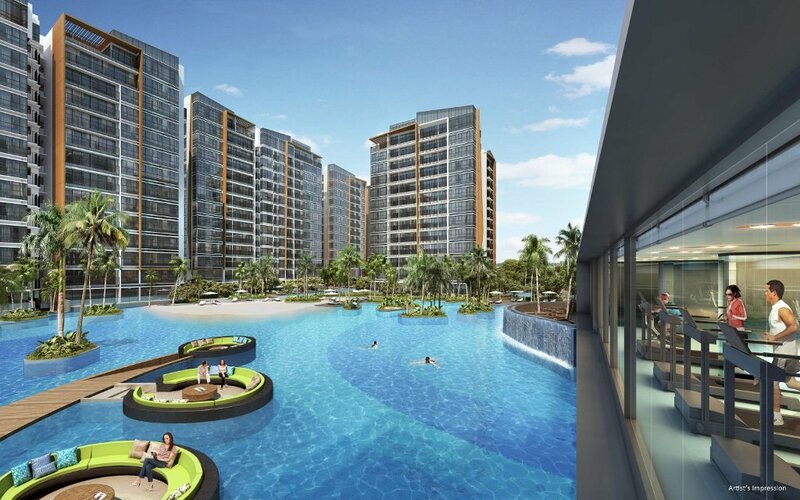 Coco Palms is a new condo, 5 minutes’ walk from Pasir Ris MRT station, bus interchange and White Sands shopping mall. It sits on the last land parcel at Pasir Ris Grove by CDL, and is the nearest to the MRT station. If you have missed the earlier projects, seize this last opportunity! 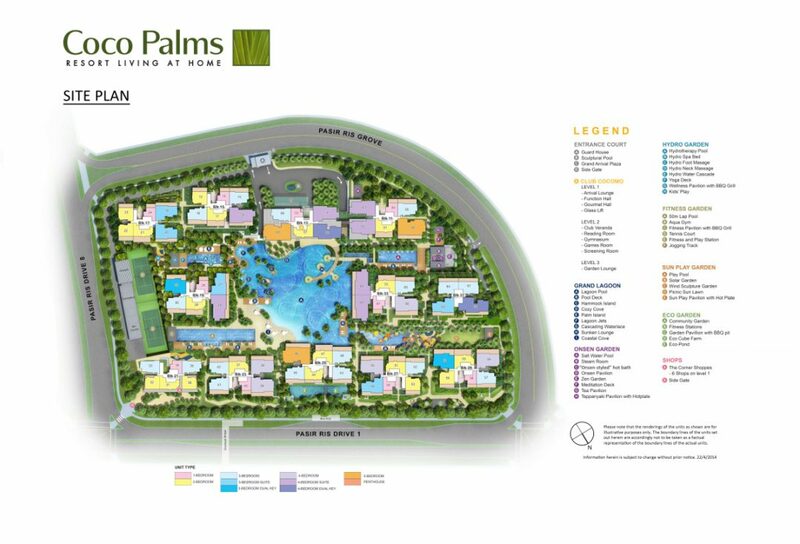 Livia, NV Residences, Palette and D’nest are 100% sold out. 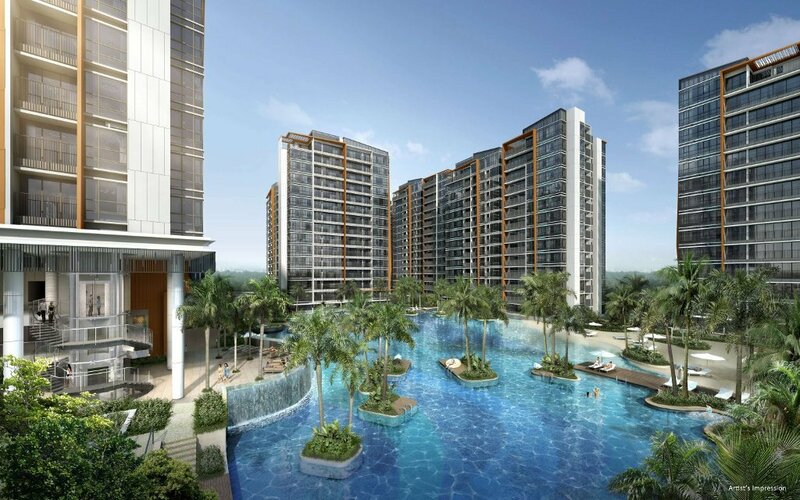 Residents at Coco Palms will have no lack of amenities, as it is a short walk to White Sands shopping mall, and a short drive to Downtown East, IKEA, Courts Megastore, Giant Hypermart, Tampines Mall, Tampines 1, and Century Square. 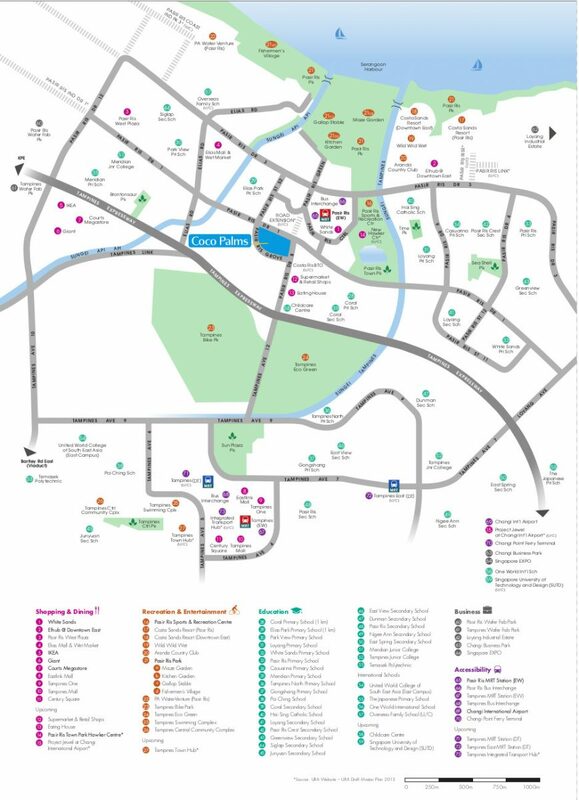 Proximity to Changi Business Park, Changi Airport (and the future Jewel Project), Tampines Industrial Park, and future SUTD campus means good rental potential. The future Cross island line (CRL) will bring greater connectivity, as it passes through Pasir Ris on its way from Changi to Jurong Industrial Estate. Coco Palms has a relaxing resort theme surrounded by palm trees and multiple pools – a Lagoon Pool (around 60m by 80m), 50m Lap Pool, Salt Water Pool, Hydrotherapy Pool, and Play Pool. The development has attained TOP and is ready for immediate occupation. Please contact me at 83187083 for floor plans.